Service economics provides a translation of intangible aspects into tangible information which will provide insight into the value of the service delivered, in an easy to demonstrate mechanism enabling the highly valuable impact of service to be understood by the whole business. 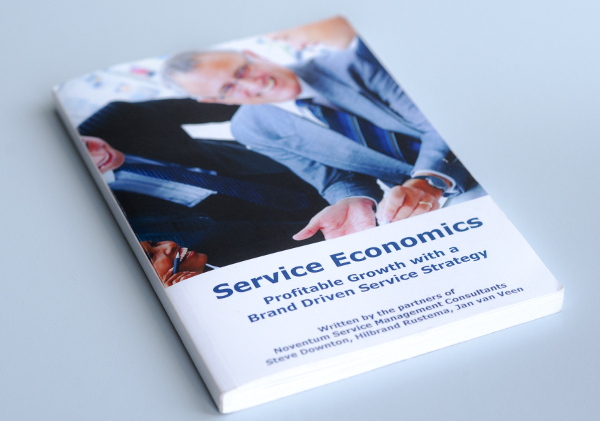 The authors of this text have spent the last 3 years researching the service industry, and received sponsorship from Oracle in 2009 to take the research further, and identify successful strategies to capitalise on the value that the service business represents when dealing effectively with the complexity of demands and expectations of customers and suppliers, to achieve a rewarding and mutually beneficial partnership. The findings used in the text are based on the authors’ research which has been produced through roundtables held in various countries around the world. Each roundtable consisted of between 15 and 20 participants, representing companies ranging from SME to large corporate concerns and included different sectors of the service industry at all levels (CEOs, CIOs, Operation Directors and Service Directors). The outcome of our qualitative research has been validated statistically through worldwide electronic surveys, supported by interviews. The topics for these roundtables were based on issues suggested as relevant through client and desk research, and the output from the roundtables reflected actual experience and promoted pragmatic options. Each case study is based on a combination of experiences from the roundtables or specific instances of an individual client’s success. Recommendations at the end of each chapter result from insights and examples from the roundtables input, from clients, and interpretation of survey results by the researchers. The data has shown that service operations are growing rapidly, even as the rest of the business struggles. From basic services to “total customer experience” economy, in which intangibles form the differentiation and the total experience defines the value. The research demonstrates that pursuing the right service strategy will deliver profitable growth, and identified that the two most successful strategies are based around delivering a strong service-based business brand and a people-driven service provision, with high calibre staff operating at all customer interface points. The research also highlighted that it is important to identify which strategy is currently being pursued and why. Intangible benefits – difficult to understand and copy, but able to create significant differentiation as based on valued personal experience. The dynamic technical services industry represents significant financial activity in Western Industrialised Economies; however, very few successful service companies fully understand the reasons for their own success. The research focused on understanding how well-integrated service operations perform and this information has contributed to a better understanding of service industry dynamics, illustrating what drives success and how these companies have developed and implemented service strategies that have produced tangible positive business results. "In today’s rapidly changing services world, where organisations are questioning what value service has to the company, Noventum Consultants have been able to pull together 7 key focus areas that directly impact how you create, deliver & value service into one cohesive framework, called aptly, Service Economics.